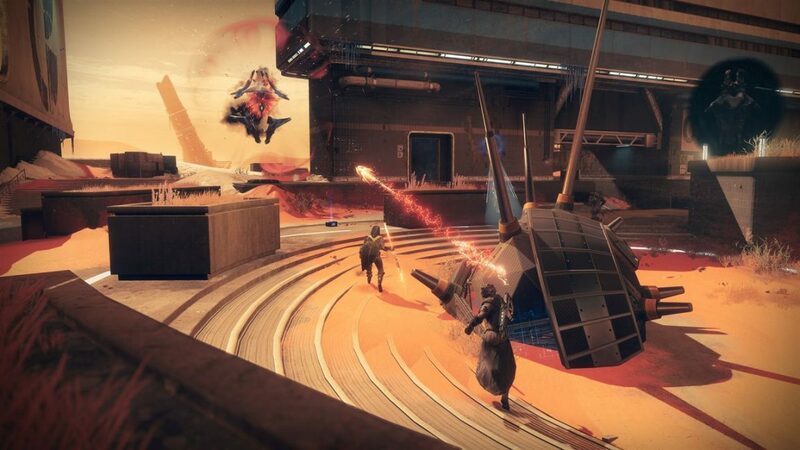 The Warsat Down Public Event is part of the Destiny 2 Warmind expansion that launched back in early May 2018, challenging players to defend a fallen satellite againt the Hive. In this Destiny 2 Warsat Down guide, we'll be walking you through how to complete the mission as quickly as possible, as well as detailing how to trigger the Warsat Down Heroic Public event. If you instead need anything else to do with the brand new Warmind DLC pack for Destiny 2, including the upfront price if you’re purchasing the expansion separately or as part of the Expansion Pass, or if you need a runthrough of all the new Strikes and the new Raid Lair coming later, head over to our Destiny 2 Warmind guides hub. You can find the Warsat Public Event down near the southern end of the Hellas Basin map, in the Glacial Drift. Once you’ve approached the crashed Warsat and scanned it with your Ghost, a countdown timer will begin, and you’ll need to stay within the white circle around the Warsat to boost the rate at which the data meter goes up. Ana Bray will provide one Valkyrie weapon on a ledge just to the south of the crashed Warsat, which you should definitely send one of your Fireteam to grab as soon as possible. All you need to do to complete the base version of the Mars Warsat Public Event is to simply stay within the white circle, while killing all the Hive minions that spawn around the battlefield, including Ogres, Shreikers, and Knights. If however, you’re looking to unlock and undertake the Heroic version of the Warsat Public Event, which grants you with bonus rewards, then you’ll need to complete a few simple steps. Kill any of the elite Hive nearby with orange health bars. This can include Knights, Ogres, and Witches. Whenever you kill a minion with an orange health bar, one of the closed Shreikers will open up. You now need to destroy the Shreiker that just opened as quickly as possible. Kill all three Shreikers, and you’ll unlock the Heroic version of the Warsat Public Event. Once you’ve successfully undertaken the Heroic version of the Warsat Public Event on Mars, you’ll need to kill the big bad boss of the event. To successfully complete the upgraded event, you’ll need to defeat the Golgoth Ogre within 3 minutes and 30 seconds. We’d recommend saving your Super Abilities and Power weapons for this section, and use them to take out the swarm of Hive before turning your attention to Golgoth. You don’t want to turn to the Ogre and then get stabbed in the back by a Knight. There are plenty of benefits of putting yourself through the Heroic Warsat Down Public Event rather than the base version. You’ll earn increased Clan XP, more Mars Tokens, and have a better chance of obtaining a shiny new Warmind Exotic item. We’re all wrapped up with this Destiny 2 guide for how to complete the Warsat Heroic Public event guide, but head over to our Warmind Exotics guide for a list of the very best items you can obtain, or our Escalation Protocol guide for how to complete the new horde mode.